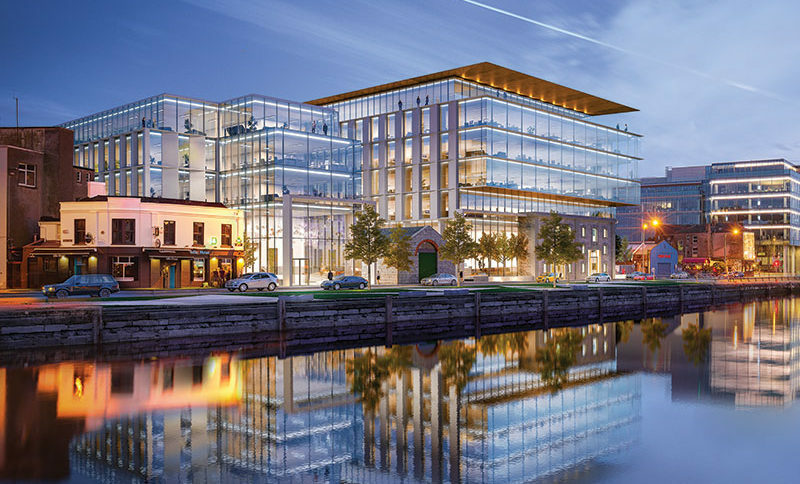 [Currently Under Construction] The latest major project undertaken by O’Callaghan Properties and designed by Henry J Lyons; Navigation Square makes a bold, ambitious statement that will grow Cork’s pre-eminence as business and investment location. 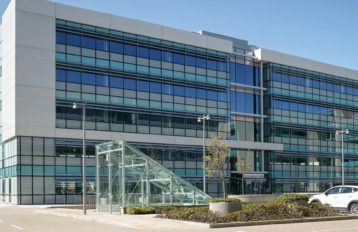 CareyGlass are delighted to have the opportunity to work on yet another wonderful project by multi award winning architects Henry J Lyons. Just 200m from City Hall, the development — which continues the progression of new ‘fourth-generation’ offices down from the city centre towards the docklands — will include roof terraces and two standalone restaurants. 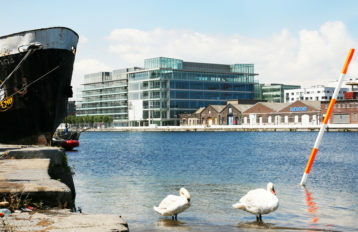 The offices will meet leading energy efficiency standards and are flexibly configured with a mix of floor areas ranging from 22,500 sq ft to 7,000 sq ft. Mr. Brian O’Callaghan described it as “a flagship, ambitious development that further confirms that Cork City is capable of hosting large-scale multinational and indigenous investment projects.